San Francisco officially ended its campaign to win the 2024 Olympics on Wednesday when the U.S. Olympic Committee announced it would be focusing its efforts on making Los Angeles its choice for the coveted games, and the city submitted for America’s bid. “The USOC and Los Angeles think that this is our time and we want to work together with a strong partnership to make it happen,” USOC chairman Larry Probst said in a teleconference, according to the San Jose Mercury News. Los Angeles was seen as the clear frontrunner after Boston withdrew its own bid last month, following months of contentious political debates. Until then, Boston had been considered the first choice by the USOC. Afinal nomination announcement is due on September 15. 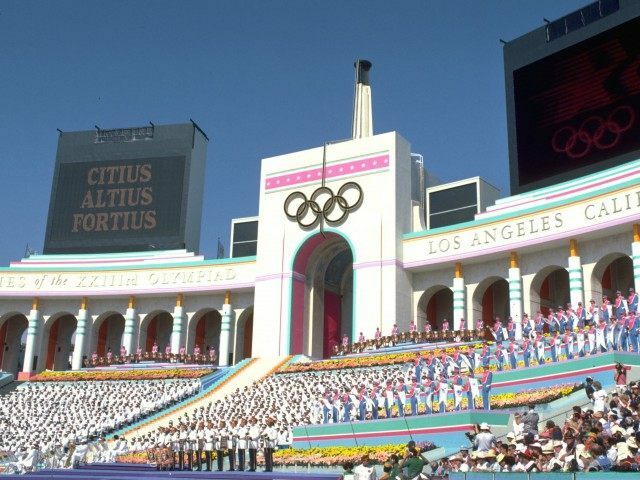 Los Angeles Mayor Eric Garcetti reportedly told the Los Angeles Times that his city could host the massive 17-day sporting event for $4.1 billion. Although San Francisco was well-liked as a possible Olympics site, there were several issues with it stemming from memories of the failed 2016 Olympics bid over a brooding disagreement between the San Francisco 49ers and the city regarding a proposed stadium near the team’s former home in Candlestick Park. The Mercury News notes that the Bay Area might still be able to host soccer and rugby if Los Angeles wins the bid over Paris, Rome, Budapest and Hamburg among other potential candidates. The International Olympic Committee will reportedly announce the winner in Lima, Peru in 2017.